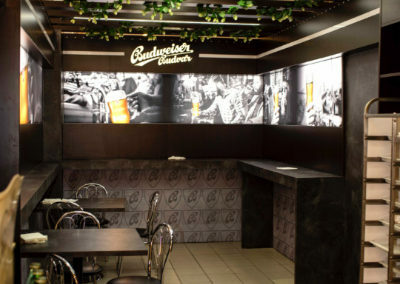 Budvar worked together with Kofola and rearranged the section of beverages in a Terno store - Dago s.r.o. And again, we bring you some of the interesting realizations found on Pinterest. This time with the Christmas theme. 25th Globalshop Las Vegas 2017 (www.globalshop.org) was organized in the spirit of “Experience Defines You”; so the customer experience was traditionally the priority. Except interesting realizations, our DAGO team can show off another interesting thing. It is a unique tailor-made information system GEM of the second generation based on the Lotus Notes platform by IBM. The Terno store in České Budějovice lures customers to a rearranged category of beers and non-alcoholic beverages. Its design is now more airy and better arranged, which should result in more enjoyable shopping. The pilot realization has been designed according to results of a year-long research. We created the design and made the realization. Other stores within the COOP chain will follow. 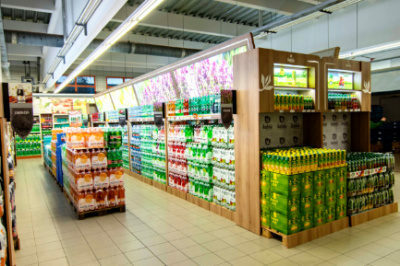 The aim of the project was to improve the shopping environment within the beverages section. 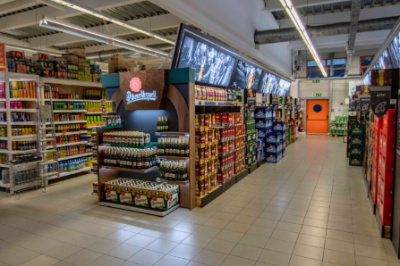 “We know from researches that the faster and more easily the shoppers orient, the more satisfied they are, and this consequently reflects in the volume of their purchases,” said Josef Kroulík, the Off trade Sales Manager of Budějovický Budvar, a national enterprise. The place of the pilot realization is Terno store in České Budějovice due to its position in the region and sold assortment. A year-long marketing research has preceded the rearrangement of the category. Its goal was to find out the details of consumers´ behaviour in the category, their preferences as to the visual appearance of the environment and contained elements. Kofola, which is a significant player in the segment of non-alcoholic beverages, became a partner in this segment. “The coopreation on the project with the participation of Budějovický Budvar was mutually very beneficial. “I appreciate, for example, that there were designed cap ends, which could hold both palettes and well-done design expositions of products in the top section. 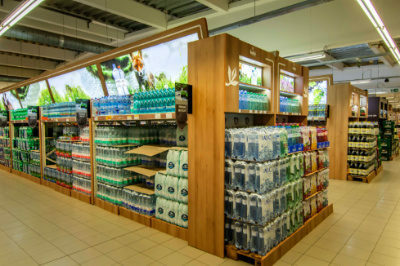 As a complex, it moves qualitatively to a completely different level,” said Jana Riegerová, the Trade Marketing Manager Senior of Kofola ČeskoSlovensko a.s.
We used existing shelves and neutralized them as to their design with wooden decoration, light-coloured in the non-alcoholic section and dark-coloured in the beer section. End caps draw attention to individual categories. They serve as premium end caps and improve knowledge and value of presented brands. Top parts of end caps and shelves were brightened using illuminated visuals of a total length of 100 meters. Motives of visuals in the non-alcoholic category represent visuals associated with a kind of beverage, for example sparkling or non-sparkling water. For beers, there are visualized people drinking this beverage evoking emotions of the traditional moment when drinking beer in a pub. 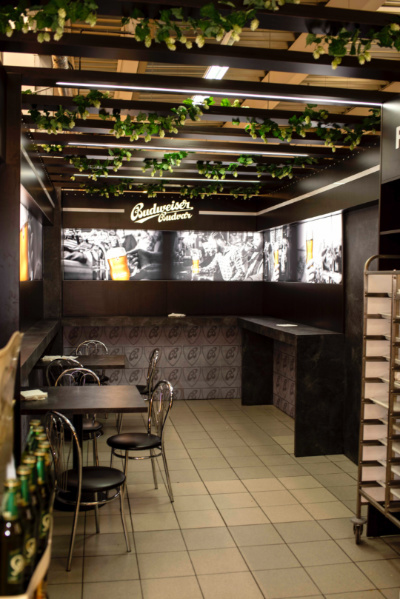 The beer section also includes a design snack-bar, where customers can refresh themselves or use the space to have a rest. So far we do not know influence on sales, but we already perceive the project as successful. Detailed research, which led to the project, gives us sufficient confidence that we proceed in the right direction and this is proved also by first responses of shoppers and store personnel. Another argument for similar projects is the influence of sales environment on building brands which is perceived by significant brands, as Budvar and Kofola.